Some people with persistent pain try some medications, and for some people they work. However, they are only a small part of the treatment for persistent pain. People often overestimate how well medications will work, and underestimate how much other techniques and treatments can help. These other techniques are often the most effective way of treating persistent pain. It can take time and effort to practise them, and you may not notice them working immediately. However, they are likely to gradually lessen your pain over time. Medications often don't work well for persistent pain, or work for a short time only. As well, they have side effects you have to consider. It is quite common to try some medications, while your doctor monitors how much they help you. It's also common to try stopping all medication for a while to see what happens. Unless it's clear that medication is helping you, you don't want to end up on it long-term. Paracetamol is a simple pain reliever (painkiller) that can help in some persistent pain conditions, such as arthritis. As long as you take it as prescribed, it is very safe with few side effects. However, it is unlikely to help much with neuropathic, or nerve-type, pain. These medications can be effective in reducing pain and inflammation, but if you use them for a long time they can cause complications, such as kidney, stomach, and heart problems. You should not take this type of medication for more than a week unless your GP is supervising your treatment. You might be confused if your doctor suggests trying an antidepressant to treat your pain, but it's not because they think the pain is all in your head, or that you are depressed. Tricyclic antidepressants also block the signals that overactive nerves send out, which can make them effective in treating nerve (neuropathic) pain. These medications can cause drowsiness, so people usually take them at night, which can also help if the pain is disturbing your sleep. But they can also cause a dry mouth. If your doctor has prescribed an antidepressant, it's important to give it time to work. Some people notice a difference in just a few days, but it can take several weeks to work. It's best to try this for at least four weeks to see if it is working. Some epilepsy medication can also treat persistent nerve pain, by blocking nerve impulses. It is best to start this type of medication at low doses and gradually increase it until the right dose is found. This means it can take a while to start working, so it is important to keep taking it. Topical treatments are treatments you put directly on your skin. This cream blocks the nerves causing pain. Usually, you will first feel a warm, almost burning, sensation but this quickly eases. If the cream irritates your skin, stop using it and see your GP. DermNet NZ – Capsaicin has more information about capsaicin cream. This is a local anaesthetic gel that can help to block the nerves causing pain. These strong pain relievers can be effective in treating severe short-term (acute) pain. Morphine and oxycodone are the strongest opioids. However, studies suggest these medications are not effective for persistent pain in the long-term. Even if you are having a short-term flare-up of your pain, doctors don't recommend you use them, as opioid pain relief medicines can have significant side effects and cause some important long-term harm. Generally they become less effective over time as you become used to them. This is called tolerance, which means you need a larger dose for the same effect. They can slow down your thinking and make you drowsy. They can make you feel sick (nauseous) and cause constipation. They can make your pain worse by making your nervous system even more sensitive (this is called hyperalgesia). They can suppress your immune and hormone systems. Studies suggest taking these drugs long-term can shorten people's lives. They can cause dependence and addiction. The people who are most at risk of this are people who have had addiction problems in the past. They can cause withdrawal symptoms when you stop taking them, which makes you feel unwell. Some people may want to keep taking them because of this. 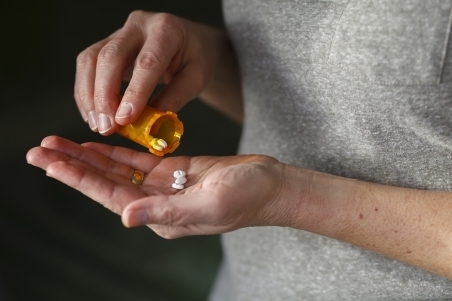 If you are prescribed opioids, it is important to take them exactly as they are prescribed. Prescriptions for these medicines are closely regulated. Your GP will need to see you regularly to monitor how well the medication is working and make sure they are aware of any problems. They may ask you to sign an agreement outlining your pain-relief goals and a plan for your prescriptions. Try not to be offended by this process, as it is there to make sure you use these medicines safely and appropriately, and that you get the best treatment possible. New Zealand and Australian pain specialists don't endorse or recommend using cannabis for persistent non-cancer pain. This is because there is little proof it is effective in treating persistent pain, and it has several damaging side effects.